Oldest elementary school building on the Island is slated for a makeover beginning next year. 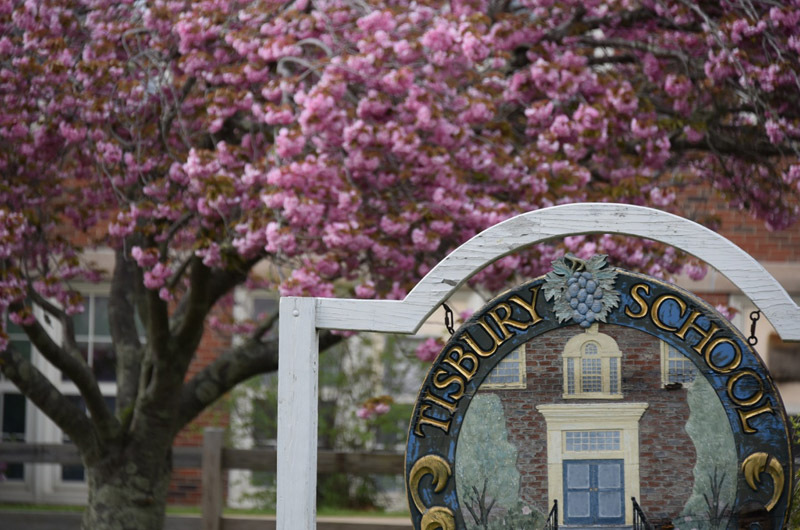 With a final vote expected in two weeks on where to site a new Tisbury School, town residents will have a final chance to add their opinions at a public forum tomorrow. The meeting begins at 6 p.m. in the school gymnasium. A 19-member school building committee is deciding between two options: renovating and rebuilding the school at its current location on Spring street in the heart of town, or building a new school on town-owned property off Holmes Hole Road on the outskirts of town. The school building project is taking place under the wing of the Massachusetts School Building Authority grant program. The program allows for eventual reimbursement of nearly half the cost of the project and also involves a rigorous set of requirements. The building committee has been soliciting comment from community members since April through a series of workshops, surveys and public meetings. The committee plans to take a final vote on the site question at a meeting on June 7. One community survey sent out showed a preference for rebuilding at the current site, with 46.35 per cent of respondents ranking that as their first choice, while 33.85 per cent of respondents ranked new construction on the 9.4-acre town-owned site near the Manter well as their first choice. Two weeks ago the Tisbury selectmen voted unanimously to recommend that the school stay at its current site. School building committee chairman Colleen McAndrews said overall, response has been mixed. A second survey has been sent out with the hope of reaching more stakeholders. Mrs. McAndrews said she sees the May 24 meeting as an important opportunity for people to make their preference known. • Renovate and add onto to the existing school. • Build a new two-story building on the existing site. • Build a new three-story building on the existing site. • Build a new two-story building on the Manter well site. “We’re going to have maps up on the wall, every participant is going to be given the option to choose an option,” Mrs. McAndrews said. But in the end, she said it will be up to the building committee to decide. Built in 1929, the Tisbury School is the oldest elementary school building on the Island. In 1938, the gymnasium was added. The last major addition, including a library, two kindergarten classrooms and two science classrooms, was built in the 1990s. 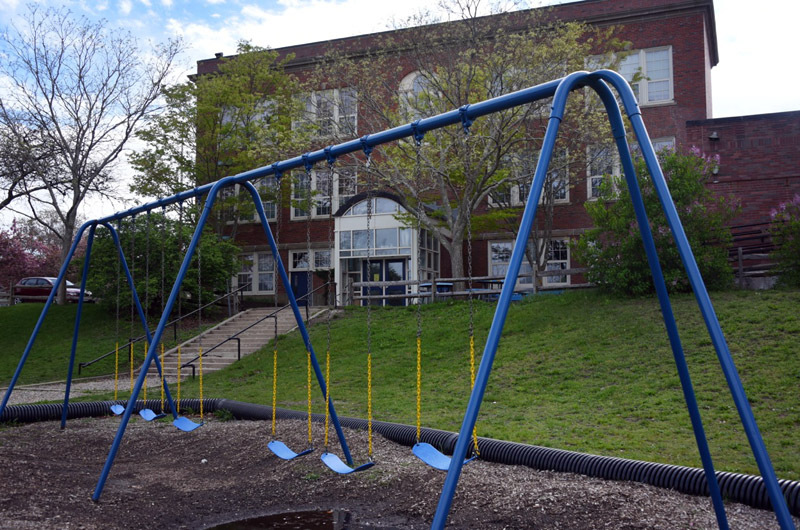 Space has continually been an issue; the school still uses modular buildings from 2002 that were originally planned to be a short-term solution. Preliminary cost estimate for a new school range from $49 million to $52 million, no matter where it is built. The town has qualified for a 41.26 per cent reimbursement from the MSBA on all eligible costs. The committee has also been weighing logistical factors including the displacement of students and classrooms during construction if the school is rebuilt on the current site. School principal John Custer agreed there is much to weigh and consider — with pros and cons on both sides. In the end, he said when most people think of the Tisbury School, they think of tradition. As a former student of the school and a homeowner in Tisbury, I'd like to weigh in and have not had the opportunity. Who were the surveys sent to? Let's keep the school where it is and renovate! The cost is too high to build a new school. I think you may be the more uninformed one here.. according to the school building comm. the cost are the same across all the options, as they have been proposed.. so not sure how you arrive at your numbers. Conflating this with a private development like Stop & Shop is not helpful or accurate, as the two are vastly different. We as tax payers are paying for this project, now and later. Keeping the school at its current location is less about nostalgia and more about the right location for the students and the town. And if the cost is important, which it is, than cost savings through renovation are possible, new construction is not, once you decide to build new you are buying the whole thing, the school can be renovated in many ways, it does not need to be a total gut renovation. I find it horrible that you claim that building a new school is to expensive and have been unable to weigh in on the project. First, it's been in the making for over a year and one half with two two meetings addressing it and this past one having a presentation specifically to talk about the progress and the ways to get engaged. Secondly, that tells me you don't go to town meeting which means you're ill informed like many of the town residents and would rather rely on the rumor mill of facebook or twitter. Thirdly, if you haven't weighed in, why would you post online here to state that, do you know how ignorant this statement appears to the majority of those that know what is going on in this town? Get engaged. Attend the next meeting. Has anyone on the School Building Committee checked with the state funding authority to see if a school can be built at the Manter well site? I understand the land is restricted land. The Tisbury school presented school awards at its annual recognition day on Tuesday, June 12.